Last Friday, all of us UK beauty addicts were happy to learn the news that Sephora would now be shipping to the UK. A lot of us have wished for this moment so it was amazing for it to finally happen. I placed my order when I got in that evening and had been waiting excitedly ever since. After stalking the DHL site for tracking information every 10 minutes, I was super happy to see my package had been delivered this afternoon. I thought I'd write a little post to show you my haul and explain a few things about additional costs as I know a lot of people have been confused or unsure about how much their haul will cost. P&P can vary if you spend under £75. If you spend over this amount, you will get a flat rate shipping fee of £10. It can actually cost a lot more than £10 if you spend under £75. Sephora use a third party called Borderfree (link for more info) to collect customs fees at the checkout to ensure there are no nasty surprises over in the UK. Having received my order, I can confirm there are no additional charges on or prior to delivery. There are restrictions on certain types of products and brands being sent to the UK so you will not be able to purchase these items. 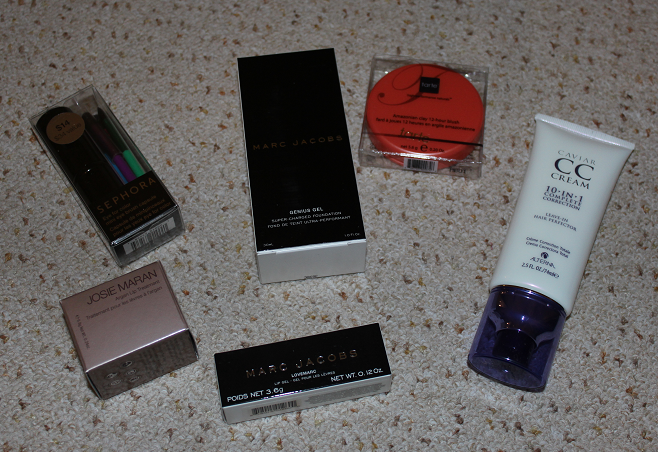 These include perfume, nail polish, NARS and Hourglass makeup. You will find out which items are restricted when you are asked to remove them from your basket during checkout! You can receive up to 3 samples of your choice with your order. Again, some of the choices will be restricted so you may be a little more limited in your selections compared to our US friends. Sephora have a loyalty scheme called 'Beauty Insider' where you can earn points on your purchases which translate into very generous free gifts like Laura Mercier primer etc. I found that I wasn't able to add these to my basket though. I'm not sure if this means that I'm not eligible for the Beauty Insider gifts being a UK customer or if the items were restricted. I was unable to use my 161 points earned with this order so I will try again next time I order from them. Delivery is fully trackable and is sent via DHL. It was quite fun seeing my package making it's way through the USA then from the UK Midlands up to the North. I may be a bit of a saddo though! I received my package one week after I ordered it but there was a weekend in between, I've seen others get their package a few days before me from simply ordering on Friday morning rather than evening. The packaging was very secure and well packed. There were no damaged products despite its long journey over here. As you can tell, I ordered some rather predictable items! I wanted to try things that were mostly unavailable in the UK. I have to say though, a lot of my picks were quite random, these aren't specific products I've been lusting after, I just wanted to try those brands so I picked some things without even reading reviews! 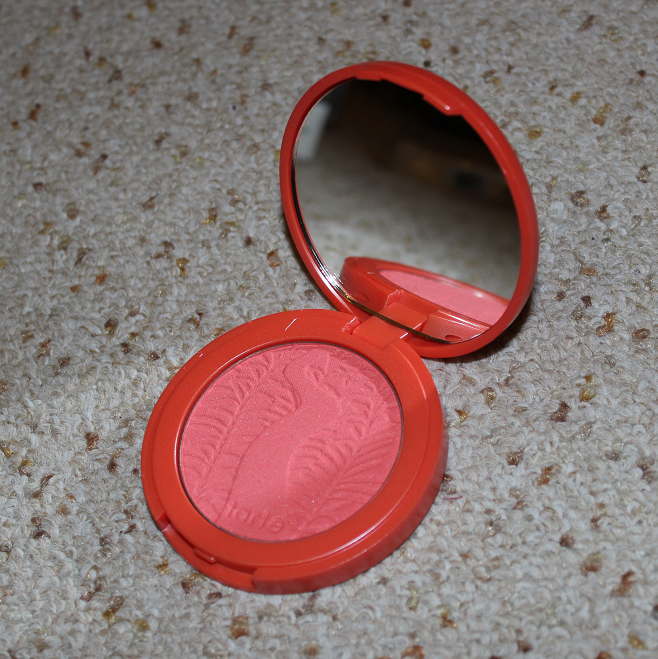 Tarte Amazonian Clay 12-Hour Blushes are one of the most lusted after products that we can't get in the UK so I obviously NEEDED one of these. I've seen a lot of love for the shade Tipsy, a pretty pinky peach shade so that's why I chose this one. 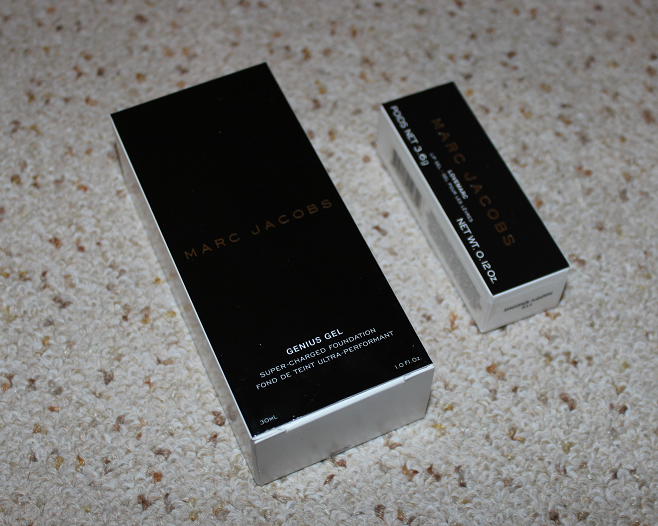 The Marc Jacobs makeup line was released in 2013 and I've been desperate to try something from the luxe brand ever since. I always thought I'd go for the neutral eyeshadow palette but I have a lot of those so thought I'd go for some different things. I picked up the Genius Gel Super-Charged Foundation in Ivory Light which was quite brave considering I have really pale skin and find it hard to get a good colour match! From looking at this in the bottle it looks light enough so fingers crossed. The heavy glass packaging and silver pump get the thumbs up from me. I also went for a LoveMarc Lip Gel in Happy Ending, a bold medium pink shade (that I couldn't get a good photo of in the rush of getting this post online!). This is quite a heavy, expensive looking lipstick with a cool magnetic fastening that makes it easy to replace the lid after use. Love the colour too so I'm happy with these purchases so far! A while back I saw an American vlogger mention the Josie Maran hand cream saying it was really good and I initially had this in my basket but I had to take it out due to it being a restricted item. I'm not really sure why it wasn't allowed though! 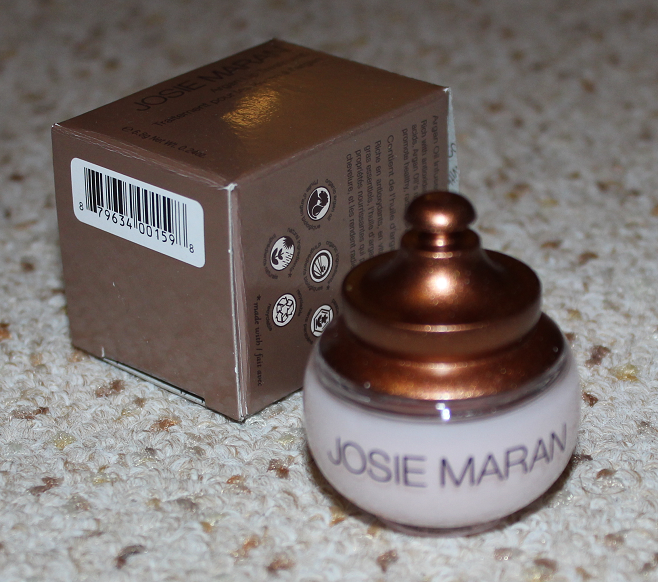 Being curious about the Josie Maran brand I decided to buy the Argan Lip Treatment which comes in a super cute pot! The Argan Oil stuff is meant to be amazing so let's hope this is! 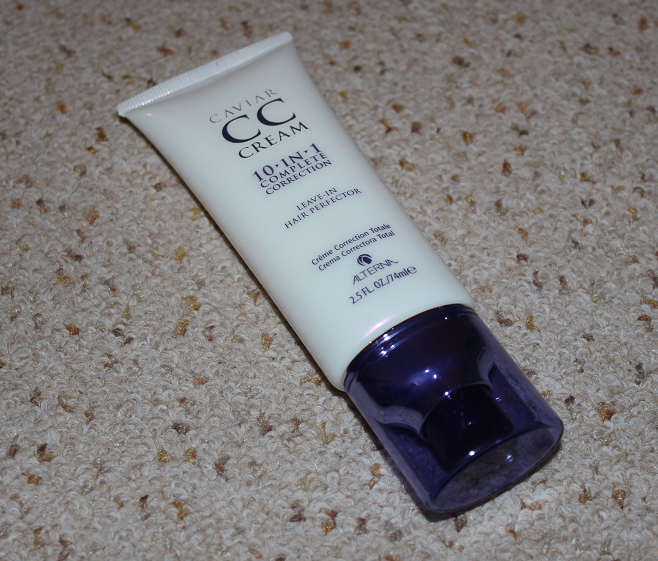 I vaguely remembered some rave reviews of the Alterna Caviar CC Cream Leave-In Hair Perfector and saw it in the Bestsellers section of the website so took a chance on it. It's supposed to perfect hair in 10 different ways including softness, UV protection and heat protection. That sounds good to me! 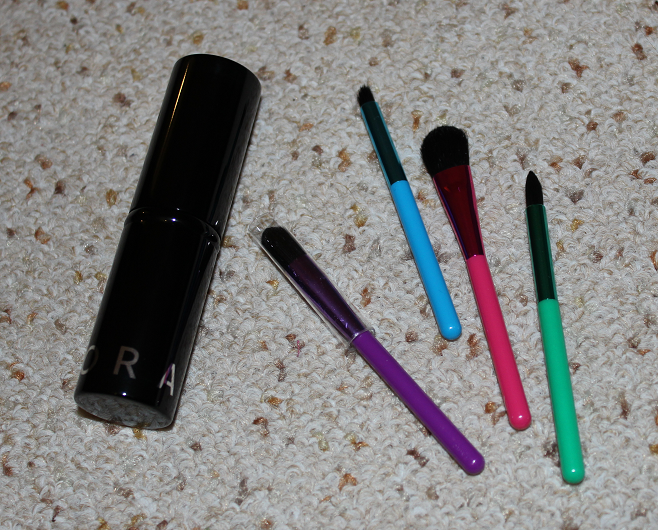 I fancied something from the Sephora brand and couldn't decide on any makeup so when I saw these brightly coloured eye makeup brushes they ended up in my basket. For some reason they looked a lot bigger on the website and perhaps I didn't see the word mini or something but these are tiny! I suppose they would be good for travelling and the little capsule is a good idea to keep them separate from other things in your bag. They feel nice and soft too. 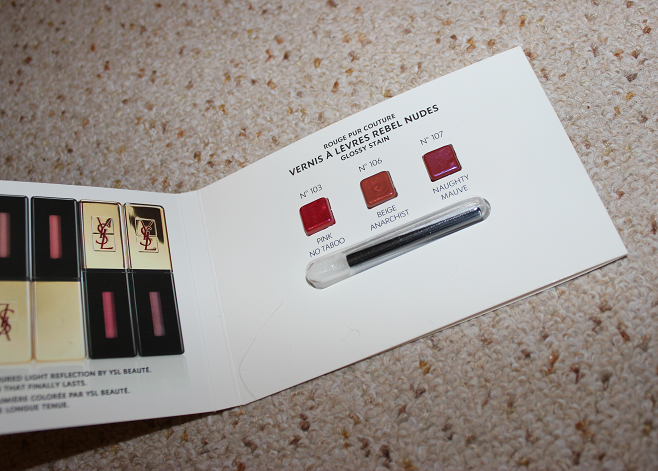 Samples wise I chose a little kit with three shades of the YSL Glossy Stains and a little brush to apply them with. I've never tried the Glossy Stains and I think this is such a great way of sampling the products as I don't really like using lip product testers in-store on my lips! I also got a sachet of Phyto Phytobaume Volume Express Conditioner which I've tried before and love. 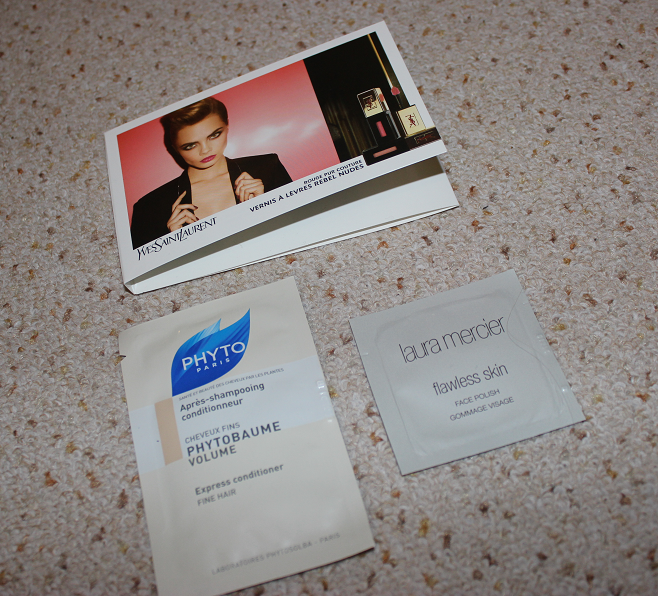 My final sample choice was the Laura Mercier Flawless Skin Face Polish. 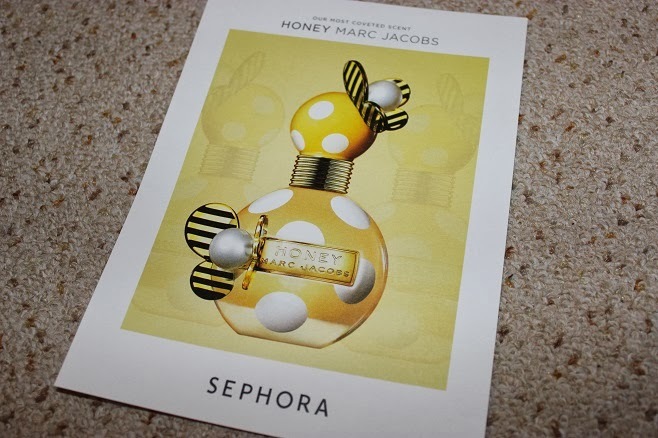 I also got a card with information about the Marc Jacobs Honey fragrance with a sample on the back. I thought that was a nice finishing touch to the order. How much did this order cost me (in pounds)? Yes! I think it's a great way to buy brands that aren't available in the UK. It does work out to be pretty expensive so I know this isn't an option for everyone but I am really happy that I can buy from Sephora.com now. Have you placed a Sephora.com order? What products would you recommend I try from Sephora? 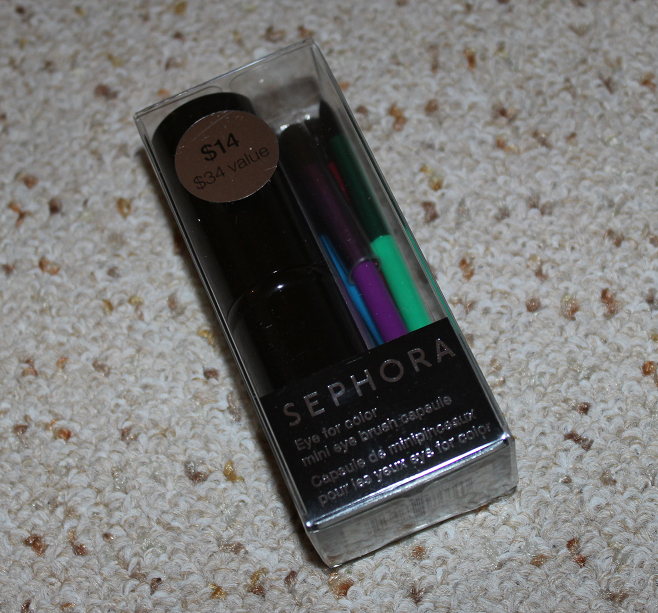 I used to love Sephora when they used to have a store here. I have to order something from them now, I can't resist! 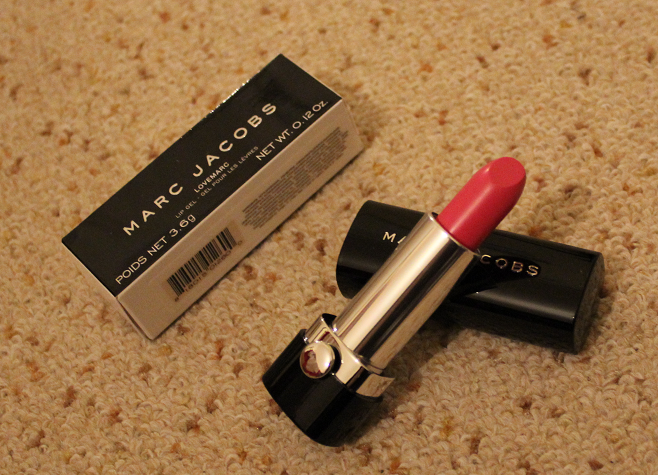 The Marc Jacobs lipstick looks lovely. Thanks for sending me the link to this post over hun. It was really useful to know that everything got over here ok, no damage or nuttin' and a week still is a really good time to get over sea's. Will definitely be making an order when my pennies roll in. Some great pick's too. Those Marc Jacobs products look divine. Gorgeous picks, especially the Marc Jacobs lipstick! I'm supposed to be on a spending ban but I caved last night and placed a hefty order, mostly tarte stuff after essie Burton's brand focus video lol I also want to try the Marc jacobs gel foundation but that'll have to be next time. Thanks for this post. I think a lot of people have been afraid to order because of the postage etc. I placed my order last thursday,and it arrived on monday. I picked up Tarte Amazonian Clay Eye & Cheek Palette,Sephora targeted eye remover cotton swabs.Sephora Moonshadow baked palette In the tropics. 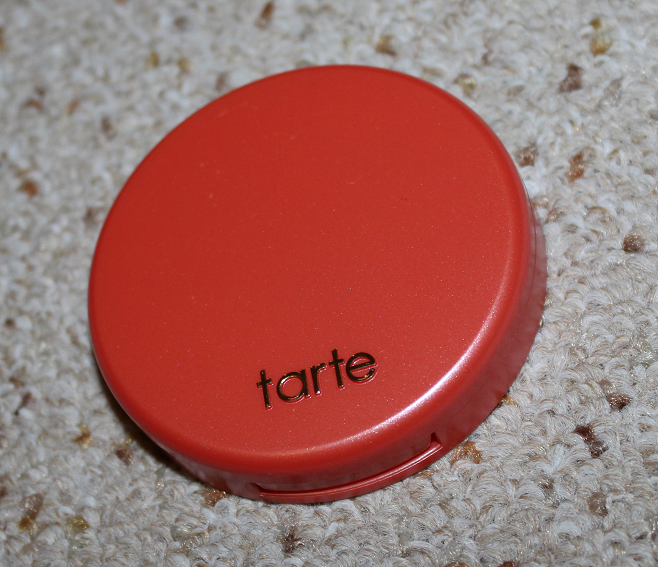 Tarte Amazonian Clay Waterproof Cream Eyeshadow in Shimmering Moss.Tarte Cheek Stain in Flawless. I also used 100 of my beauty insider points for a deluxe sample of Tarte Lights Camera Lashes.Its also worth ticking the box saying its a gift.As you get a free drawstring bag.